The POS in our software allows you to make super fast transactions where you don't need to setup a customer or a ticket. You can just scan barcodes and swipe their credit card to take payment - very quick and easy. 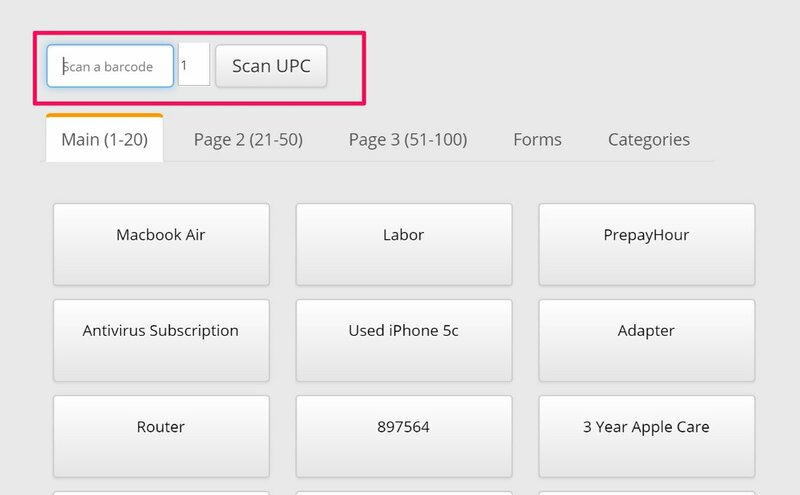 Easily scan items with a bar code scanner in to the "Scan a barcode" field for fast item entry. 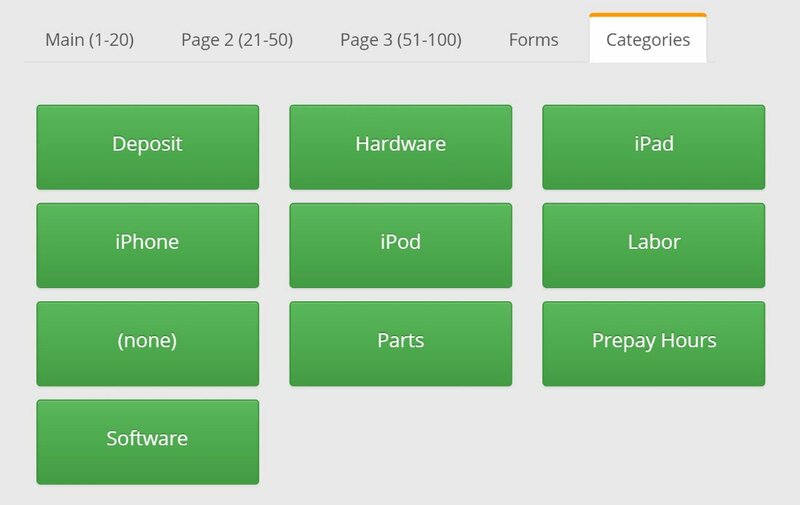 The POS module allows for a few different ways to add items to the transaction. 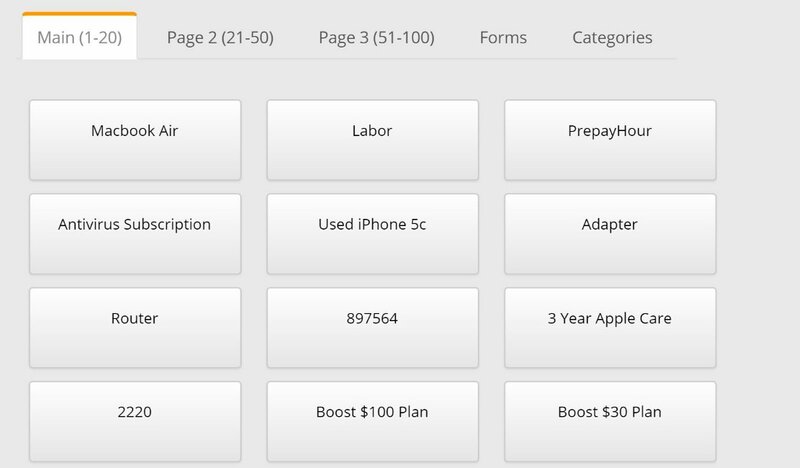 - Touch friendly way of selecting inventory. You are able to modify the order in which they are shown on the screen by entering a “Sort Order” number in the item’s detail screen in the Inventory Tab. 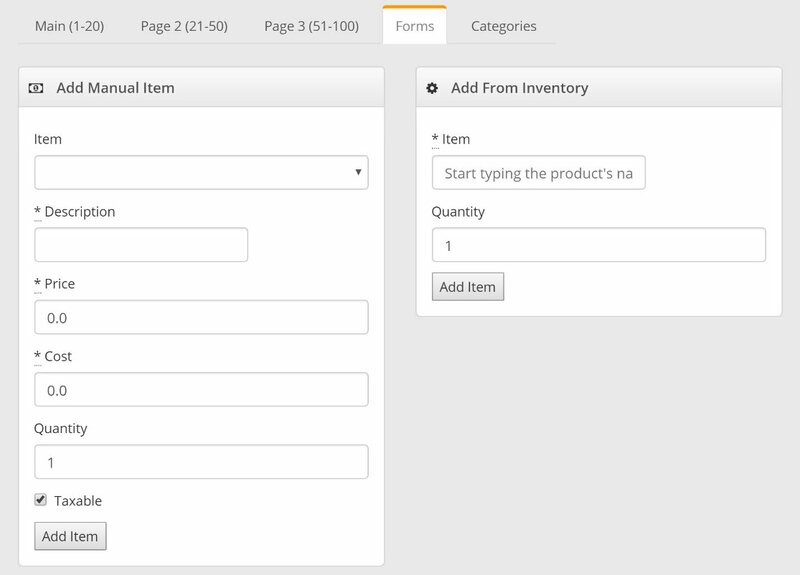 - Allows you to add a manual item or to search the inventory using the search tool. - Allows you to search for items using the Inventory Categories created in the Inventory Settings via the Admin Tab. 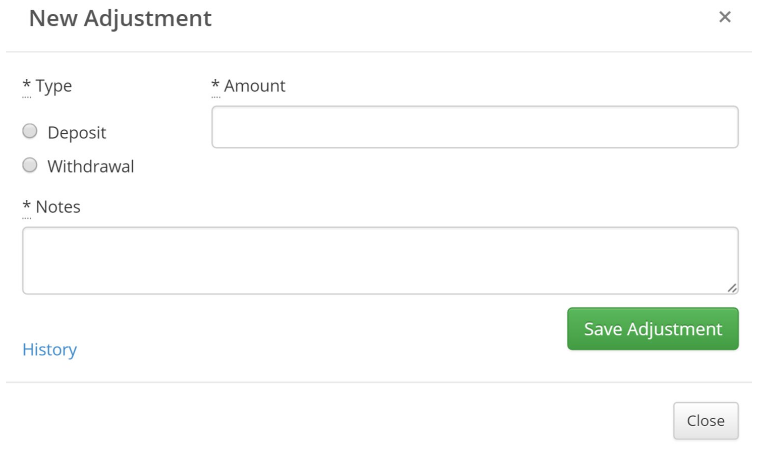 Adjustments allow you to Withdraw funds or make deposits to the register. 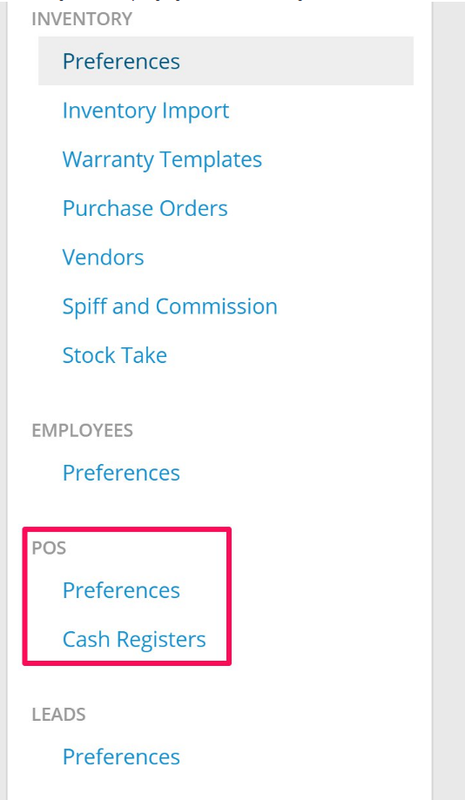 The POS settings can be found by navigating to the Admin tab and scrolling down to the bottom. 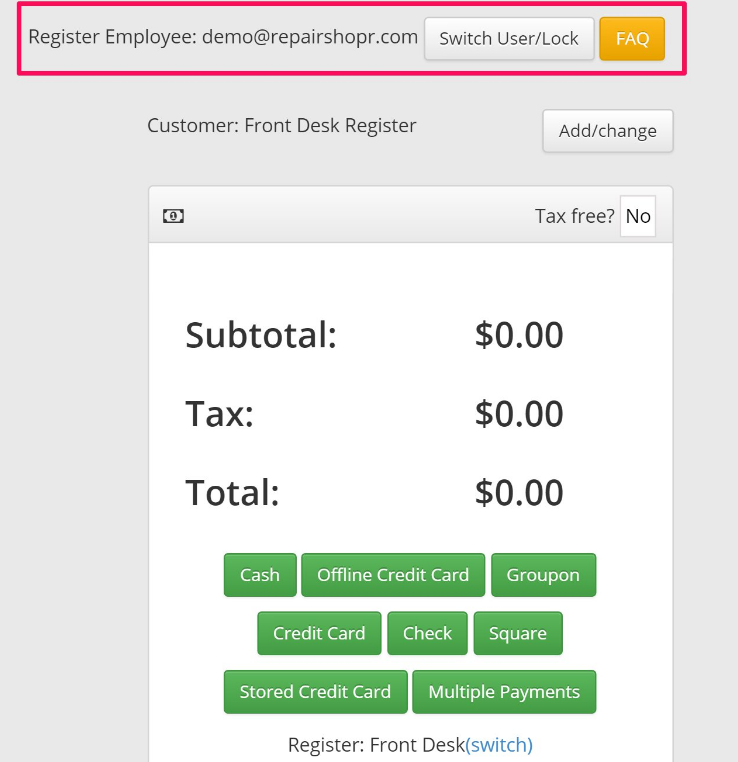 You are able to enable the POS module from here. Click Advanced to see a few additional options. 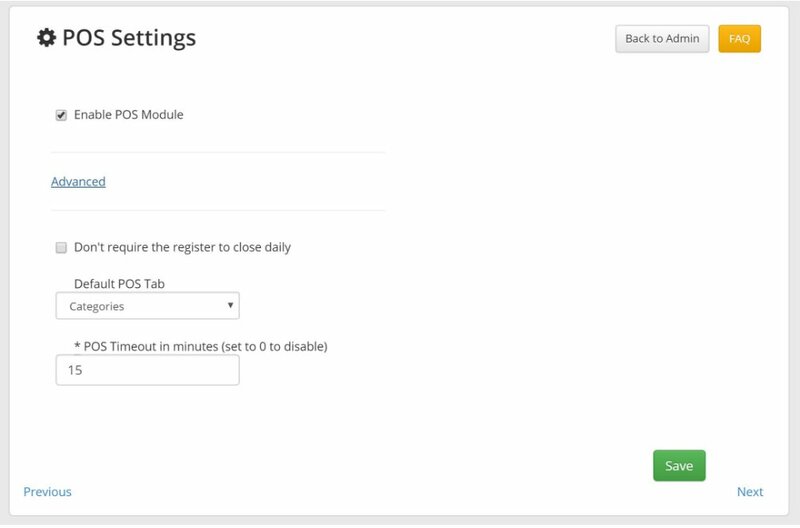 Don't require the register to close daily - Enabling this will cause the system to not trigger to open or close the register. 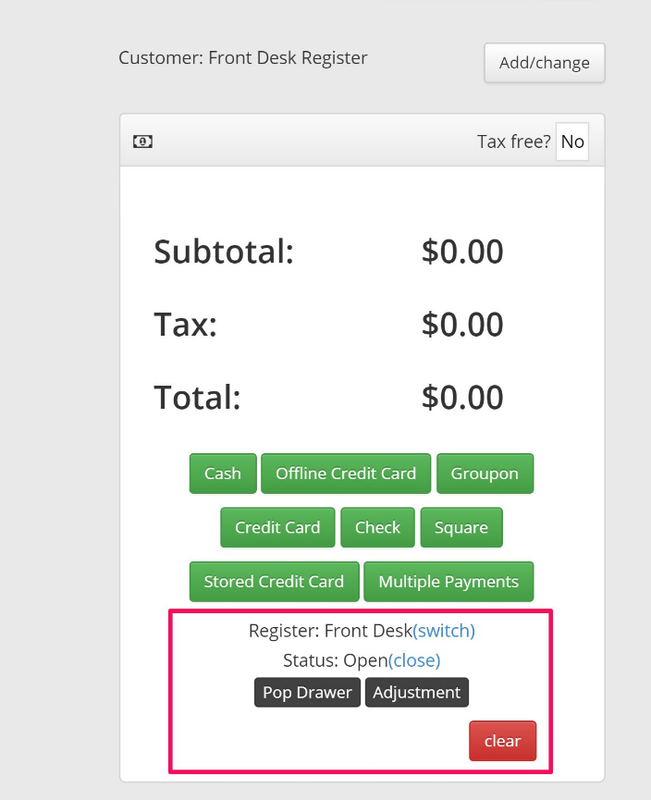 Default POS Tab - Choose which tab is displayed when you initially enter the POS module. 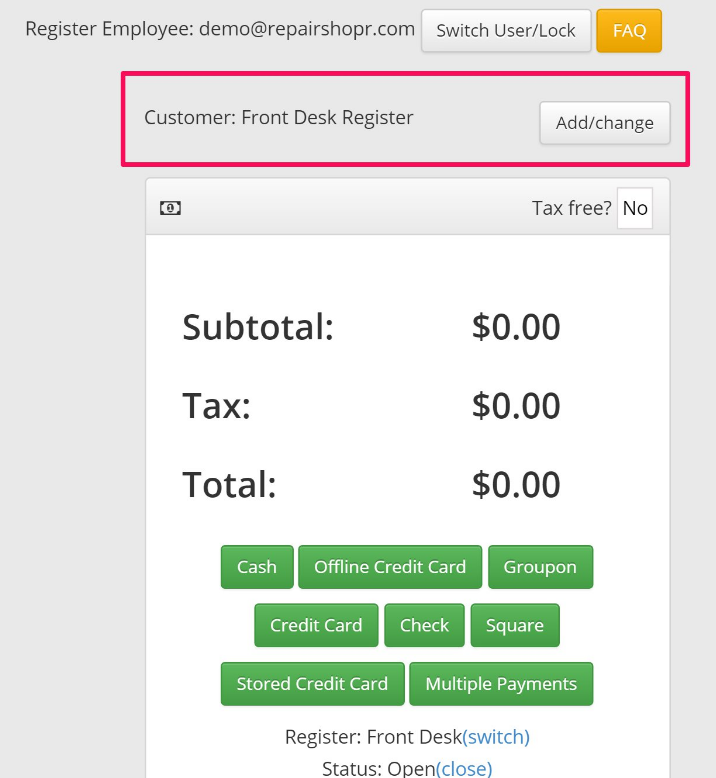 Head to Admin, Cash Registers to setup registers. These can be assigned a location, a receipt printer, or a Vantiv credit card terminal. 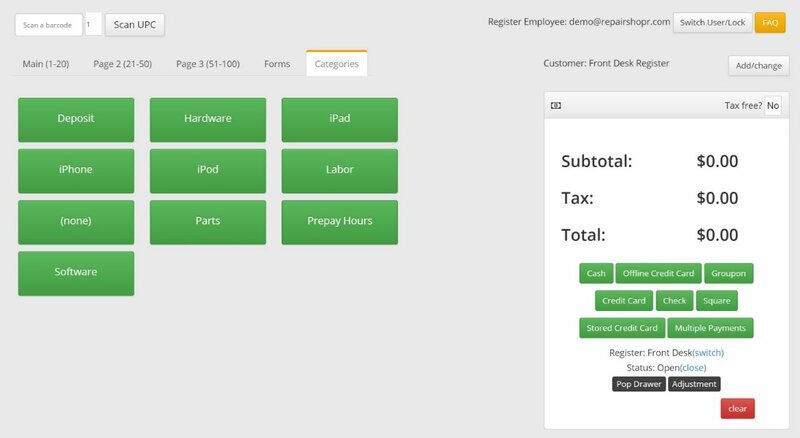 If your shop wants to use cash registers (the physical drawers/etc) using this feature might help you keep your drawer counts and related. Just create a Register, give it a name. Now when you do a financial transaction the system will ask you which register you are using. The register will be remembered per workstation for ease of use. At the end of the day, just "close" the register - performing a drawer count, and you'll get a nice end of day report!